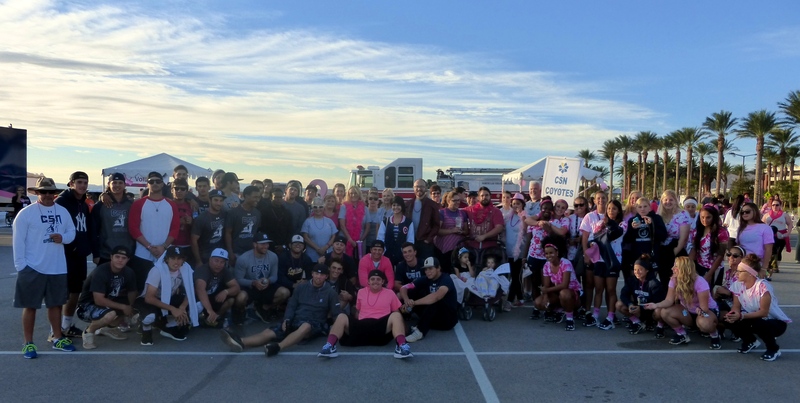 College of Southern Nevada staff, students and athletes joined thousands of breast-cancer supporters to raise money for the 15th annual Making Strides against Breast Cancer 5K event on Oct. 26. Many participated in this year’s event in support of people like Newton, her loved ones and others with breast cancer. More than 15,000 walkers were at the event run by the American Cancer Society, according to ACS correspondence sent after the event. There were 583 teams that registered online in advance including CSN Coyotes that gathered to elevate the cause, as stated on the event’s website. The event raised $450,000 this year, according to the ACS correspondence. CSN participated for the ninth year. Lisa Bakke, senior director of budget services at CSN and co-captain of the team, said there were 110 members including the baseball and softball teams that registered with CSN making it one of the largest teams at the event. Bakke said the CSN Coyotes collected more than $5,200 in donations this year, ranking CSN 10th in overall team donations. 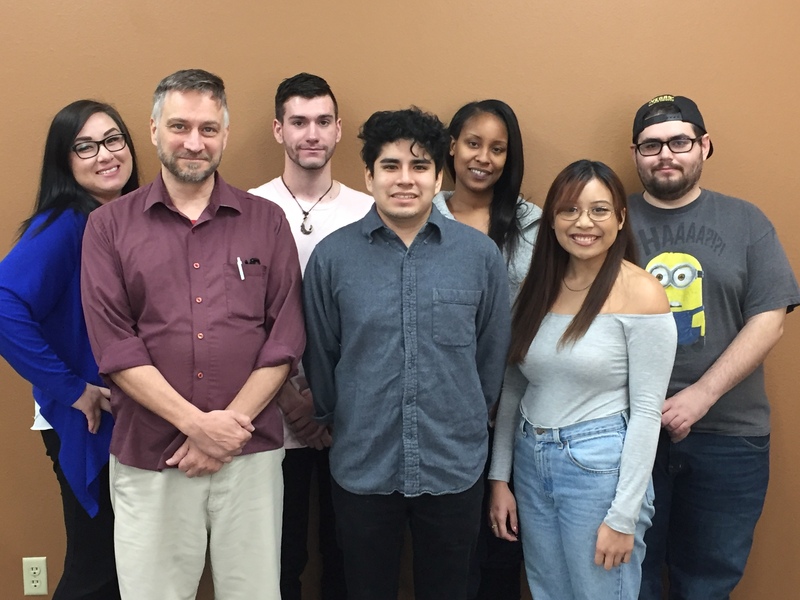 In the past nine years CSN raised an estimated grand total of $55,000 that stays in Nevada and directly benefits our community. Many of the participants who walked the event are proud breast-cancer survivors, companies around Las Vegas supporting the cause who wore pink custom-made attire and parents who walked in memory of loved ones. 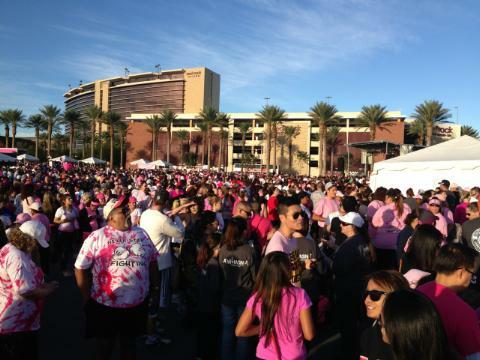 The 3.1-mile walk attracted thousands of diverse groups to the Red Rock Casino Resort Spa with live entertainment, information booths, nutrition stands and free mammogram tests by the Nevada Health Centers. The American Cancer Society brochure and website states that one-in-eight American women will develop invasive breast cancer during their lifetimes and about 40,000 women will die from breast cancer. The best way to fight against the disease is to detect it early through mammogram testing, which should be done every three years for woman in their 20s and 30s and every year for women older than that. According to Brown, breast cancer is a malignant tumor that starts in the cells of the breast that grow into surrounding tissues or spread to distant areas of the body. The disease occurs almost entirely in woman but men can get it too. Brown encourages anyone who would like to get more information on breast cancer to visit the American Cancer Society website at http://www.cancer.org/ or by calling (888) 227-2345. Filed Under: Community Tagged With: Joaquin Lomeli Jr.